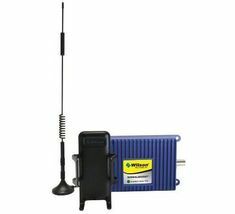 Cell phone signal booster is a device made to boost the existing low signal strength and to spread it to all needed area where the signal strength is too low or the area where signal strength is zero. Generally a cell phone booster comes in three parts and i.e. internal antenna, outer antenna and a booster, and yes there is a cable to attach all three. In some cell phone boosters like Weboost Cradle system, the internal antenna and boosting units are made as one unit but there are very few kind of such boosters. Talking about Cell Signal Booster & Capabilities. 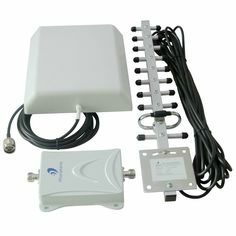 There are number of models available at cell phone booster store to compare and all of them has their own capabilities in terms of frequency and area coverage but one capability they all have common is boosting the low signal strength. This is to be noted here that a cell phone signal booster cannot create a new signal or in other words, a cell phone booster can’t give birth to signals. There should be minimum signal strength available for cell phone booster to work. We do not always gets in to area with zero signal strength but areas with low signal strength can be found very often, boosters are for those areas. How much area it covers? Online cell phone booster store has many models to offer its customers and it is on customer that which one to buy. One of the greatest factor comes in process of purchasing a booster is “Area Factor”. Each and every signal amplifier has its own area coverage and customer should buy one according to same. There is a twist here, in general manner it goes smoothly when there is no obstacle in area which need booster signal but in other cases customer can face difficulty in choosing the one, in that case customer can always go to “one-on-one” helpline at online cell phone booster store. 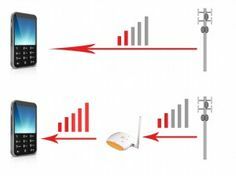 Talking about the signal strength a cell phone booster can avail, it all depends on the range of booster and the quality of signal available. If the out antenna is getting good quality signal then in most cases the cell phone booster boosting unit will work more efficiently then expected, the inside coverage area will be equals to or more then area mentioned on booster box. In case the outer antenna is installed at very low signal coverage area then that will affect the coverage area of internal antenna. This is the reason behind cell phone booster store’s advice to customers that they should always buy a next level booster in accordance to their need. Only two type of antennas are available in Outer Antennas section and those are – Yagi Outer antenna and Omni Outer Directional Antenna. If there is quite good signal strength at the place of outer antenna installation and then Omni-directional antenna is suitable. If the demand is to boost signal of multiple providers at once then in that case also Omni Directional antenna should be preferred. Rule is simple, if the signal strength of multiple provider has to be boosted then there outer antenna has to get higher signal strength and in that case Omni-Directional Antenna works perfectly fine. In other case, where there is only one signal provider and the signal coverage is too low, then in that case best antenna to be installed is Yagi Antenna. Yagi antenna do not allows you to boost signals from multiple providers at a time but if the signal strength coming from tower is too low then Yagi antenna works best in that condition. Decibles of dBs is the unit in which the power of signal strength is measured, this is a logarithmic measurement. It clearly means that if there is increase in 3dBs of signal strength then the power of signal has gone to almost double which happens with the amplifier boosting unit. In other words it can be said that 3 decibels increase in signal strength by cell phone signal boosting unit can amplify the signal strength to almost double. Customer buying cell phone booster should get a higher end version for a perfect signal strength. Panel antennas – If the needed coverage area is large OR if it is multiple floor building then this type of antenna should be preferred. This antenna works in single direction and coverage much larger area, it should be installed upside down on a wall. Dome antennas – Simply if the area to be covered is single floor the Dome Antenna is best choice. This antenna has to mounted on the ceiling so that it can spread the boosted signal equally. Connecting all three units is done with the cable and in case of cell phone boosers, cables do play hard role. Fact is that cable lowers the signal strength while carrying them so the minimum use of cable should be done always. For general information, after 50ft length the Ultra Low Loss LMR-400 can loss up to 2dBs signal strength and a general TV cable and take it up to 5dBs. Connectors are available to minimize the loss but they may require extra or special tools and may cost heavy. So, minimizing the use of cables can help in maximizing the output.